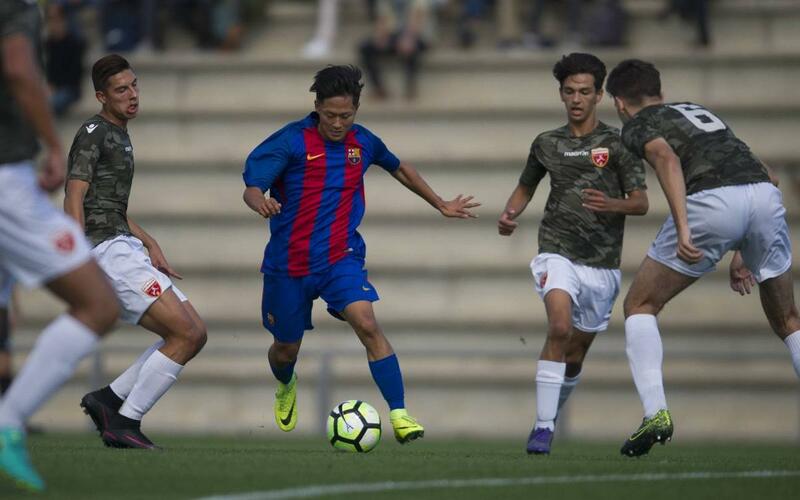 The Barça U19A team are still on great course towards winning their league after Saturday’s draw with CD San Francisco. The home side were unbeaten in five games, so this was always going to be a tricky away trip, and the point collected can be considered a valuable contribution to the cause. Gabri Garcia’s side looked to win the game by playing possession football in accordance with club tradition and the chances were soon flowing. But try as they could, the scoreboard didn’t budge. That’s ten games on the trot that FCB have gone undefeated and with just seven games of the league to go, they are comfortably poised with a 13 point cushion on second placed Espanyol. Next up is Girona FC at the Ciutat Esportiva Joan Gamper.